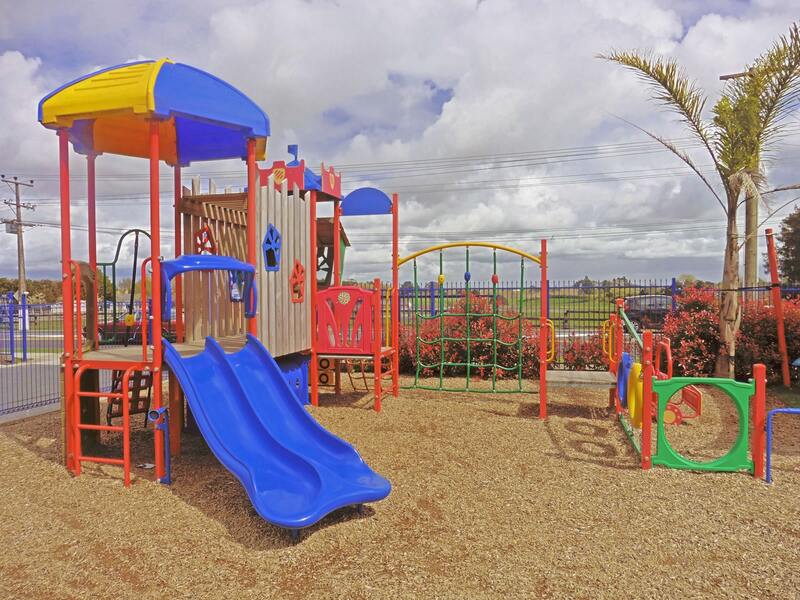 The Gardens Early Childhood Education provides facilities that encourage children from birth to five years to learn through play. 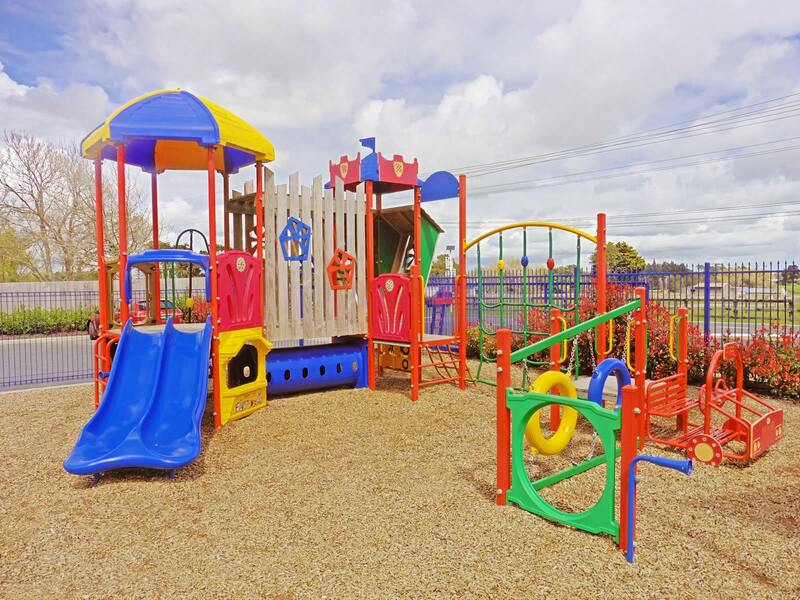 Committed to providing a caring and educational environment, they support children to develop at their own pace, level and ability. The Gardens aim to give children as much access to nature, and the outdoors as possible, providing activities that encourage self-help and self-care skills. 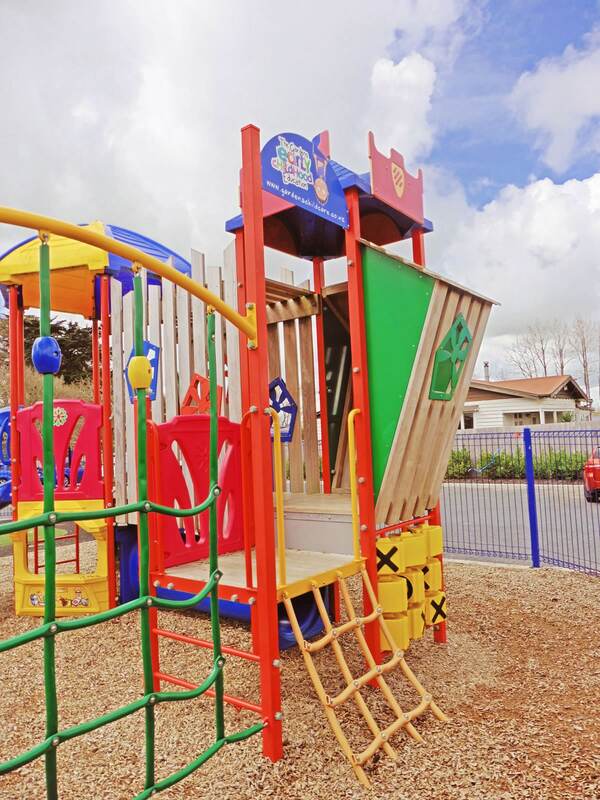 They were seeking to design a play area that would encourage and challenge children to extend themselves. 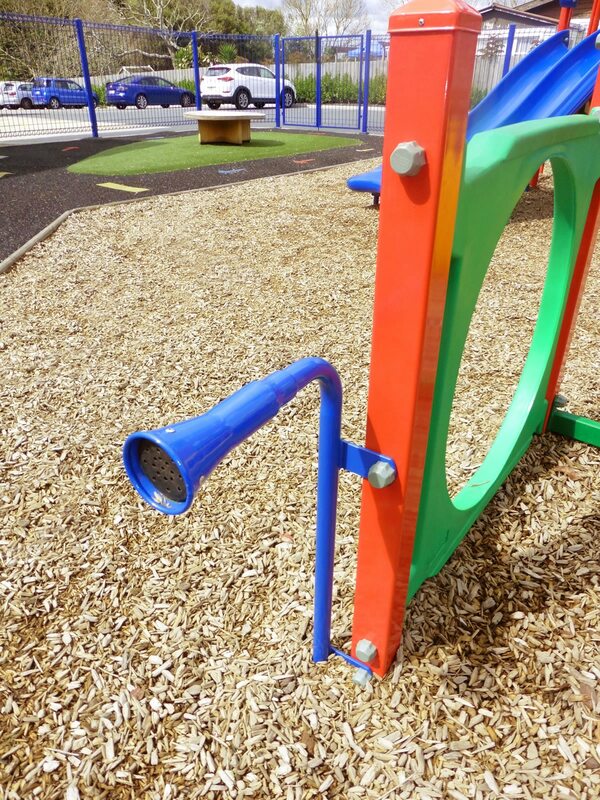 Playground Centre worked with the director of The Gardens to develop a play area to meet the diverse needs of a modern centre. 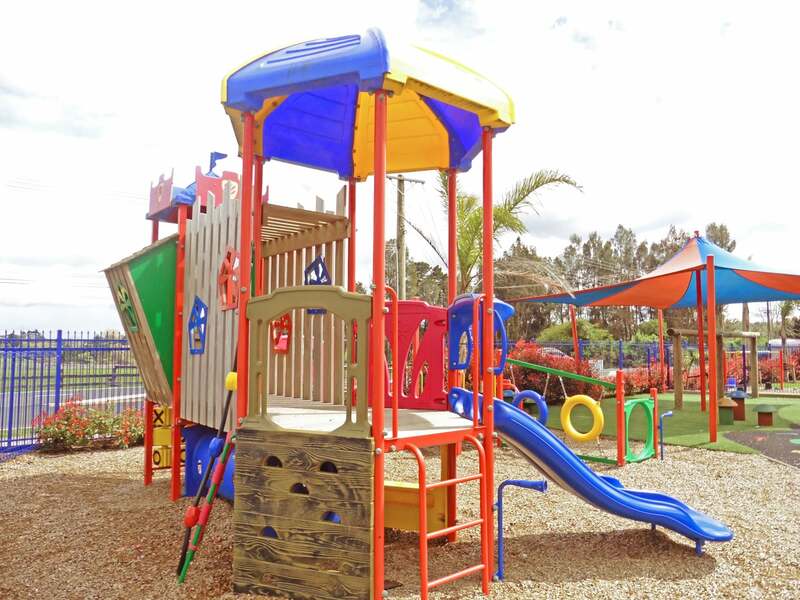 Included in these needs were some specific colour requirements, areas that could accommodate multiple children at one time and a design that catered for the wide range of developmental needs and stages of children up to five years. 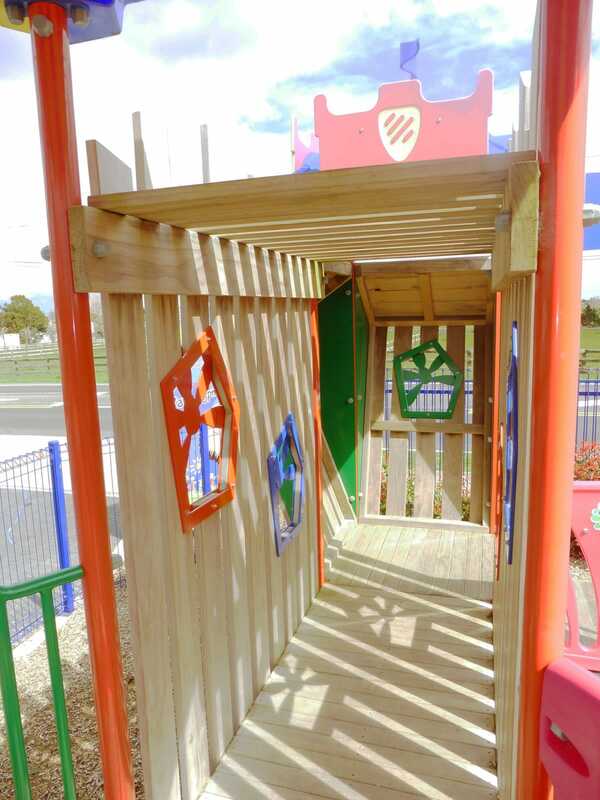 Playground Centre were able to design and build an exciting customised structure while integrating timeless favourites. Adding some unique colours also put the finishing touches on what is now a much-loved playground!